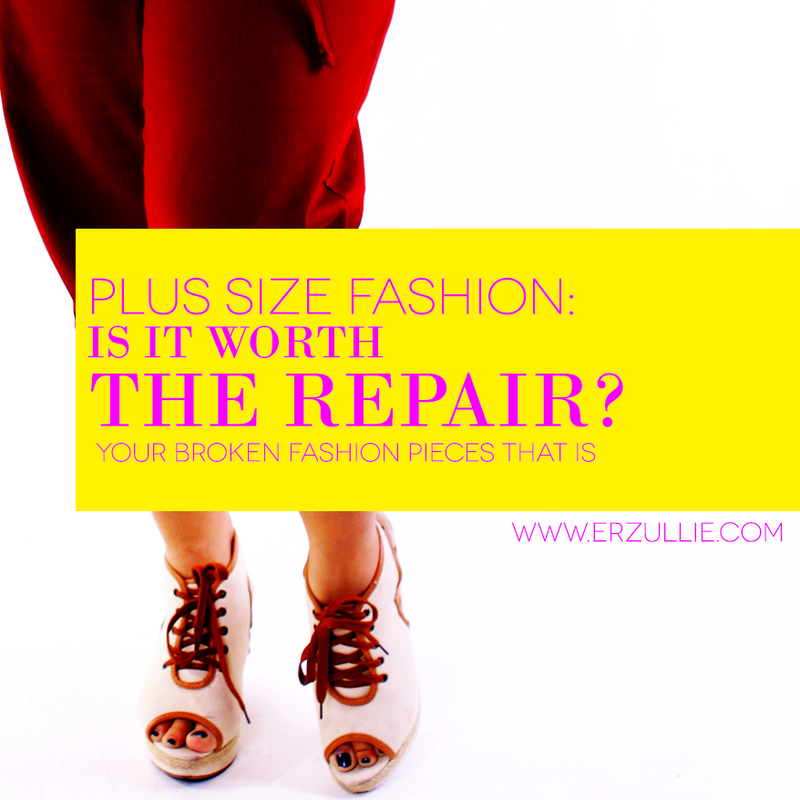 PLUS SIZE FASHION: IS YOUR FASHION PIECE WORTH THE REPAIR? We all develop relationships with the pieces we put on. And just like any relationships, sometimes it also gets broken. The question is --- is it worth the repair or is it time to just let it go? Check out the 3 questions you need to ask to know if your fashion pieces are still worth the repair. #1 Is the repair fee less than ½ of what you have paid for it in full? If it’s a yes, then go! But, let’s say your trusty shirt is around Php 500 and it got snagged in an event. You go to an alterations store to get it repaired and they say it’s Php 600 for it. Might as well buy a new shirt right? #2 Are you still going to wear it? Is it still you? Okay. That’s a double question, but they are connected! IF you are going to repair an item just because you want to “preserve some memories”. It’s more space efficient if you just took a photo of it, gave it a sweet goodbye and allow it to move on --- either through donations or trash. Maybe it’s really time to make new memories? #3 Can you buy a whole new fashion piece to fall in love with, with the repair fee that was given to you? Let’s go back to the first example. The repair fee for that shirt of yours is Php 600 and you know you can buy a new shirt just like it or even better with that amount --- why repair it?